Samsung is all set to launch the first M series smartphone in India on January 28. There’s still no surety whether the company will be launching two M series phones or just one. Samsung is reportedly working on three M series phones to launch soon including the Galaxy M10, Galaxy M20 and Galaxy M30. On the launch day, we expect Samsung could launch the M10. The company, however, is yet to reveal official details about the smartphone. A lot has already been talked about the Galaxy M10 and also the M20. A new leak reveals some of the key specifications of the Samsung Galaxy M10. In addition to the leaked specs sheet, a couple of renders of the Galaxy M10 have also surfaced online which suggest that it is going to be a good looking phone. Amazon India is already out with the dedicated page for the upcoming Galaxy M series phone. The Amazon listing doesn’t reveal the name of the phone though. 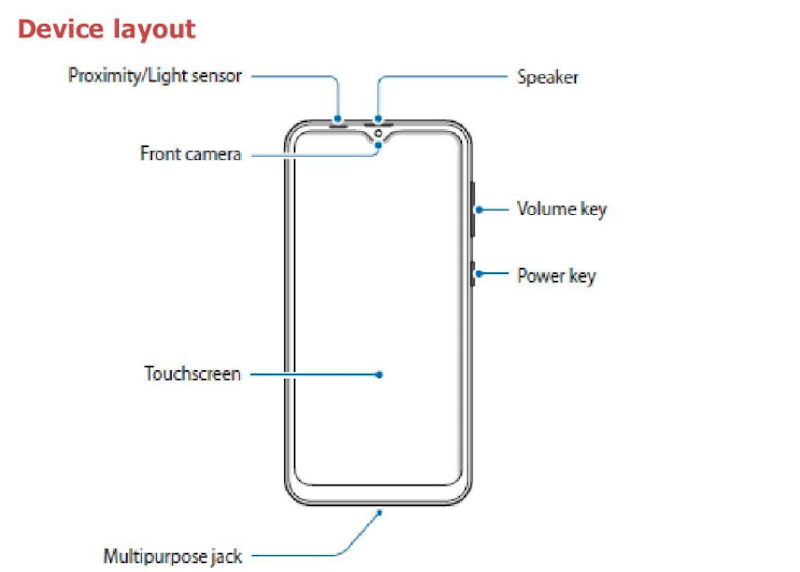 A user manual leak suggests that Samsung will not include fingerprint scanner on the Galaxy M10. Going by a new leak coming from Slashleaks, the Samsung Galaxy M10 will come packed with a 6.2-inch HD+ display with screen resolution of 720 x 1520 pixels. On the hardware front, the Samsung Galaxy M10 is said to be powered by 14nm octa-core Exynos 7870 SoC which is further paired with 2GB or 3GB of RAM. Samsung Galaxy M10 is expected to be an affordable smartphone and so will be the Galaxy M20 and Galaxy M30. On the camera front, the leak suggests that the Samsung Galaxy M10 will include two cameras on the back panel while only one on the front which will sit inside the water drop notch on the front. On the back panel, the Samsung Galaxy M10 is said to include a 13MP primary sensor and a secondary sensor of 5MP for capturing portrait pictures or background blur photos. The leak then reveals that the Samsung Galaxy M10 will launch running on Android 8.1 Oreo and not Android 9 Pie, which could disappoint some Samsung lovers. The phone is further said to be backed by a 3400mAh battery. As noted, another leak reveals some renders of the Samsung Galaxy M10. The renders which are basically sketches reveal the overall design of the Samsung Galaxy M10. They suggest that the Samsung Galaxy M10 will not include a fingerprint sensor on the back panel like most Samsung phones, does this possibly hint at in-display sensor? Well, considering it is going to be an affordable phone Samsung Galaxy M10 might not come with the in-display sensor. This means that Samsung might ditch the fingerprint sensor completely. Additionally, the sketches further reveal that the Samsung Galaxy M10 will come with Infinity V display. 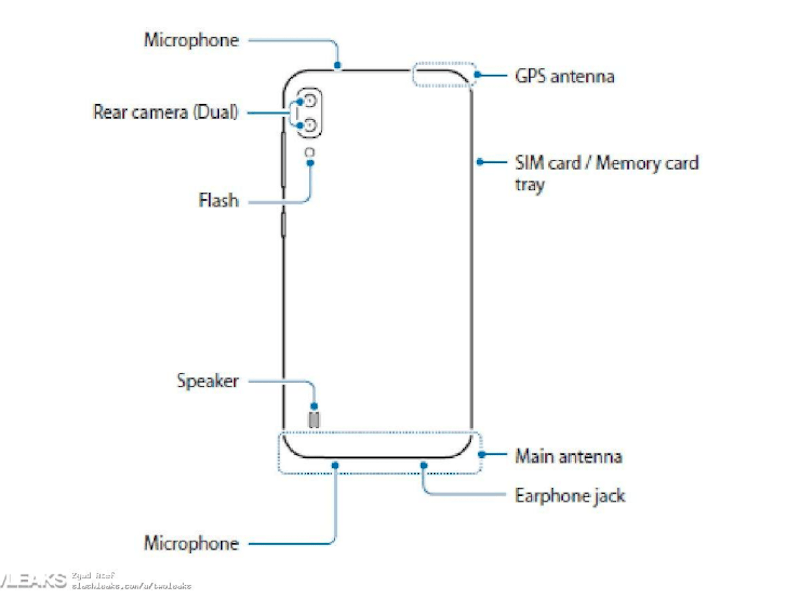 Adding on, the good news is the Samsung Galaxy M10 will come with 3.5mm audio jack, Micro-USB port, hybrid dual-SIM and microSD card slot. It is Exynos 7872 ,it has two a73 cores at 2ghz and also the gpu is upgraded compared to exynos 7870, it is a very good option for under 10000 from Samsung brand. Then objective of this launch to fight with Asus and Xiomi is defeated. Only cons is battery and display resolution. Galaxy M20 and M30 will be great options Id they have 5000 batteries.